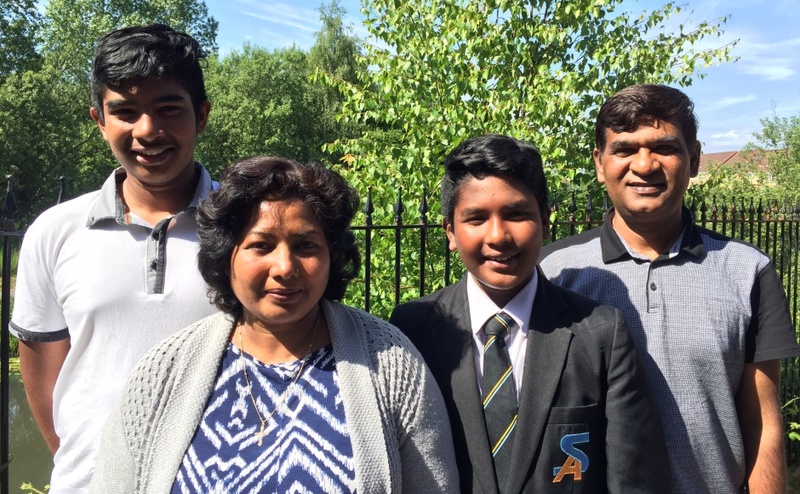 Maqsood Bakhsh fled Pakistan to Glasgow in 2012 with his wife Parveen and their two young sons after Islamic extremists threatened to kill him because of his religious beliefs. The catalyst was the murder of two Christians who were gunned down outside a court, while in police custody, in the city of Faisalabad in July 2010. Mr Bakhsh, 50, claims the people responsible for the death of the two Christians believe he is in league with them, know exactly who he is and would kill him and his family if they had the chance. 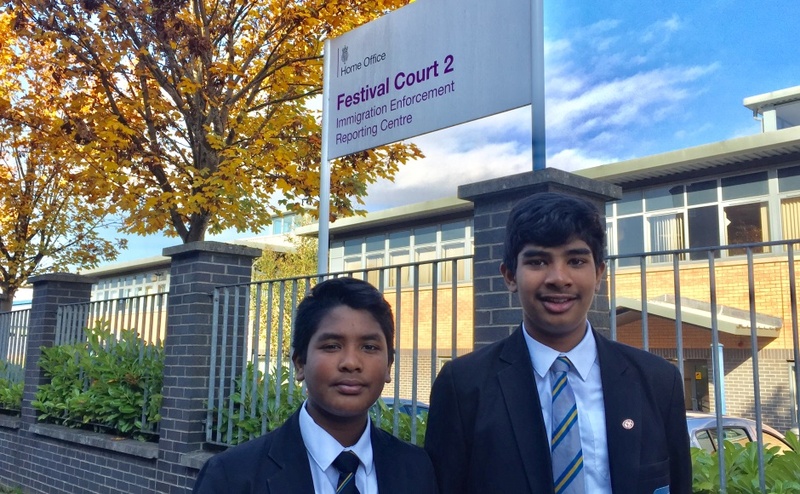 Their survival hangs in the balance because the UK Home Office has repeatedly rejected their applications for asylum, largely on the grounds that officials do not believe that they would be at risk in Pakistan. The family, who have been living in limbo in the north of Glasgow for six years, have been told they have now exhausted the process and have no right to appeal. But they are refusing to give up hope and have obtained the services of an Advocate on the basis they can secure legal aid to challenge the decision in the courts. Paul Sweeney, MP for Glasgow North East, has promised to highlight the family’s plight in the House of Commons. Their supporters claim it would be a fundamental breach of the children’s human rights if they are forced out of Scotland after six years and deported to a country they barely remember. 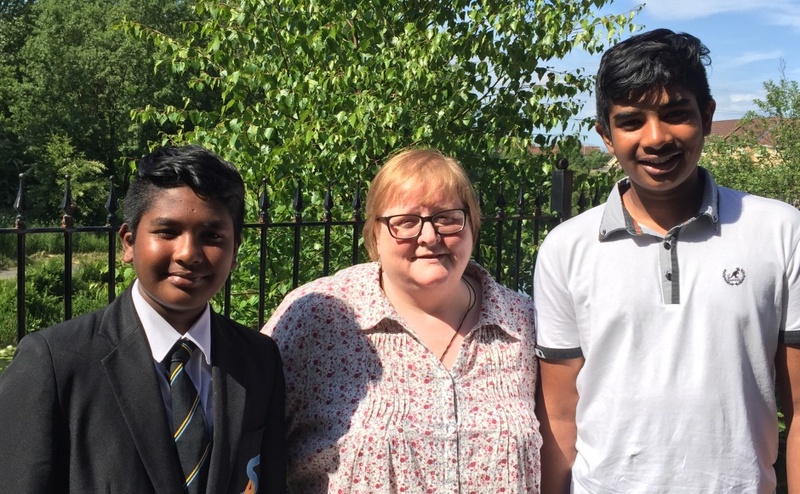 Somer, 15, and his 13-year-old brother, Areeb, are model students at Springburn Academy where they are keen sportsmen, have a large circle of friends and are both active members of Possilpark Parish Church. Minister, Rev Linda Pollock, described the family as “leading lights” within the congregation and said the situation facing them was “unconscionable”. She also urged Prime Minister Theresa May to order a fresh Home Office investigation into the case because she believes the reasons for refusing the family asylum are subjective. Ms Pollock said it was time that they were treated like human beings and not numbers on a quota check list. Mr Bakhsh, an elder at Possilpark Parish Church whose brother is a Kirk minister in East Kilbride, said: “Prime Minister, please help us because I do not understand why the Home Office keep rejecting us. “They keep telling us that some parts of Pakistan are safe for Christians. “It is true that lots of Christians live in Pakistan but once you have been targeted by Islamic extremists who know your name and your face, it is impossible to live. “Four of my friends have been killed by Islamic extremists and my sister in law’s brother is serving life in jail because of the blasphemy law. After the murder of the two men outside the courthouse, Mr Bakhsh left the family home to protect his wife and children and moved around Pakistan for months but details of his identity quickly circulated among extremists. He revealed that it was his brother, Rev Mahboob Masih who has lived in Scotland for nearly 30 years, who convinced him that the only way forward was to flee Pakistan and seek safe haven in this country. Mr Bakhsh said his family feel very much at home in Glasgow and desperately want the chance to become fully functioning members of society. “We love this city, my sons feel Scottish and they are thriving here,” he added. Mr Bakhsh, who was a commissioner at the Kirk’s General Assembly in 2017, worked as a data analyst in Pakistan and holds two masters degrees, while his wife is a trained neo-natal midwife with 17-years of experience. But both have been unable to work in Scotland and forced to survive on benefits and charity due to their immigration status. Mr Bakhsh said: “Not being able to use our talents and abilities to make a contribution to this great country has been very hard and frustrating for us. Mrs Bakhsh, 49, said living in limbo for the last six years in a small flat provided by the Home Office has been very difficult. “It has been, and continues to be, an awful and stressful time because we are wasting ourselves,” she added. 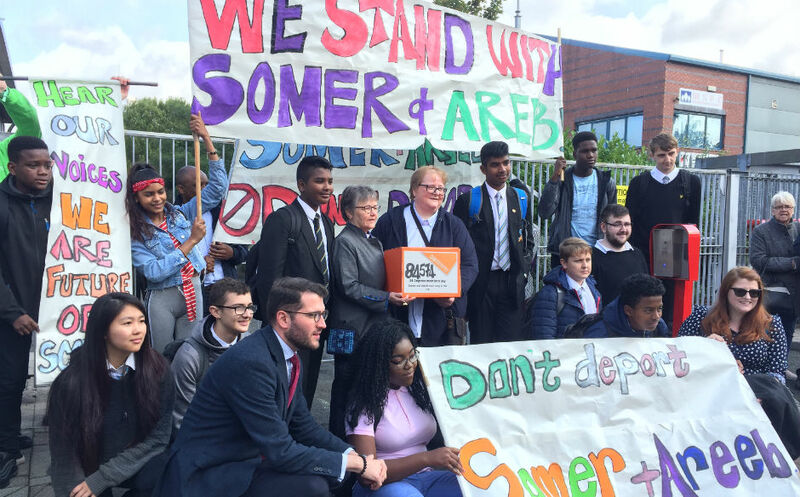 Ms Pollock said she prayed that the Home Office would show love and compassion and grant the family asylum. “They are part of our family and we are part of theirs,” she added. “It is unconscionable that they have been forced to live with this uncertainty for so many years.